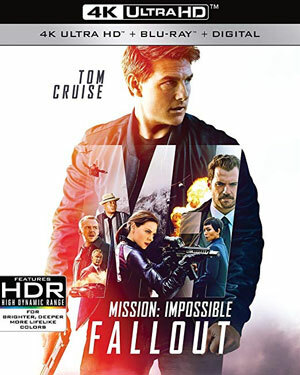 Paramount Home Entertainment has just added Mission: Impossible—Fallout to its roster for release on 4K UHD, Blu-Ray Disc and DVD in late December. On a dangerous assignment to recover stolen plutonium, Ethan Hunt (Tom Cruise) chooses to save his friends over the mission, allowing it to fall into the hands of a deadly network of highly skilled operatives intent on destroying civilization. 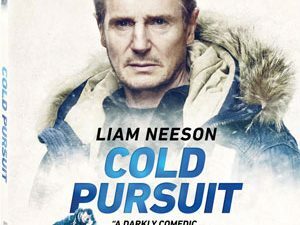 Now, with the world at risk, Ethan and his IMF team (Simon Pegg, Ving Rhames, Rebecca Ferguson) are forced to work with a hard-hitting CIA agent (Henry Cavill) as they race against time to stop the nuclear threat. The release will be packed with bonus features, including the Multi-part Featurette Behind the Fallout, which gives you a close up look at various aspects of the production, including a break-down of a deleted scene. Also included is a Deleted Scenes Montage with Optional Commentary by director Christopher McQuarrie and editor Eddie Hamilton. Further, you will find the Foot Chase Musical Breakdown on the release, as well as Storyboards and Trailers and three separate Commentary Tracks, one by director Christopher McQuarrie and Tom Cruise and the other by director Christopher McQuarrie and editor Eddie Hamilton. The third commentary will feature composer Lorne Balfe. The movie’s Isolated Score will also be included on a separate audio track. Mission: Impossible—Fallout will be in stores on December 4 for $39.95 on 4K UHD, $31.99 on Blu-Ray Disc and $25.99 on DVD.